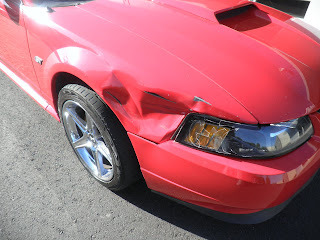 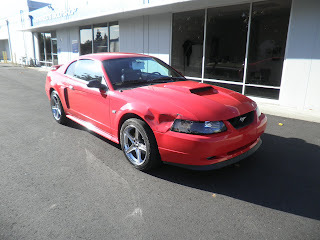 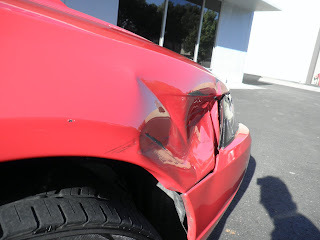 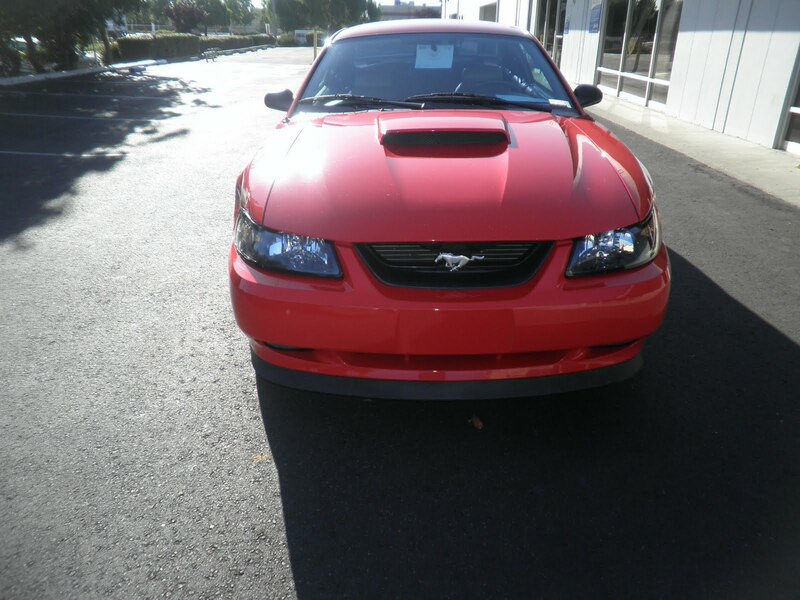 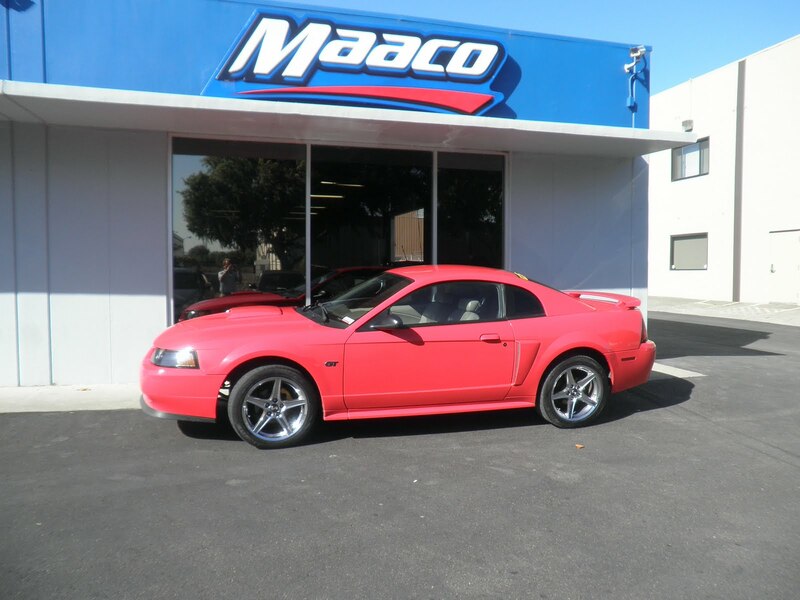 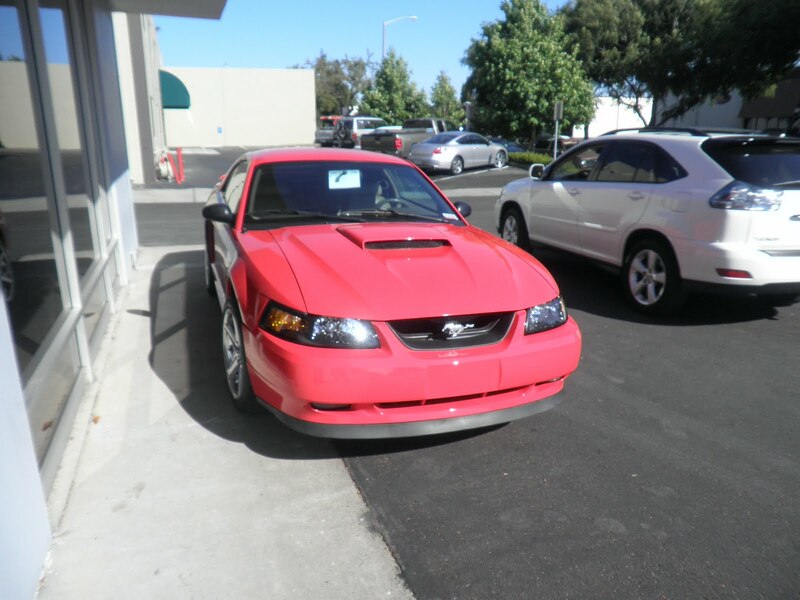 Today's car of the day is a 2001 Ford Mustang that came in with damage to the right fender and right headlamp. Almost Everything Autobody replaced the right fender and right headlight with a new parts, painted the right fender, front bumper cover, and blended the right door and hood for the best color match. 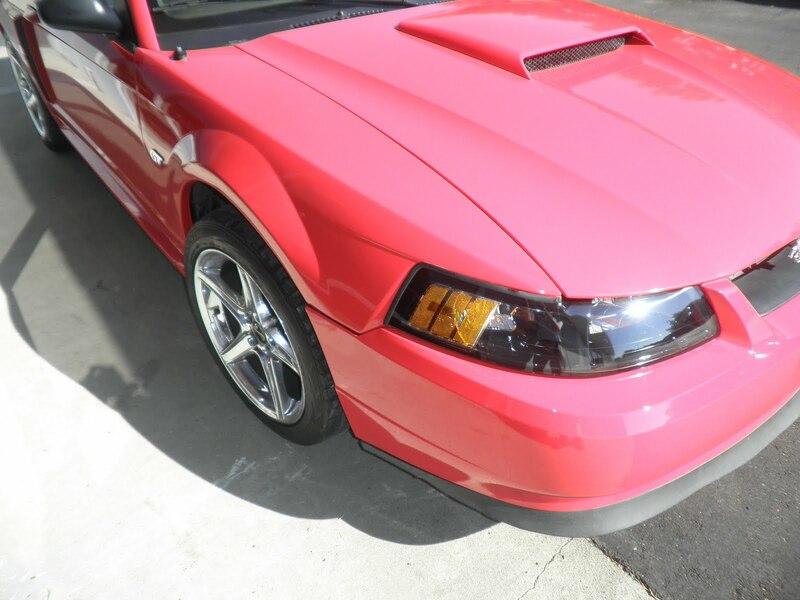 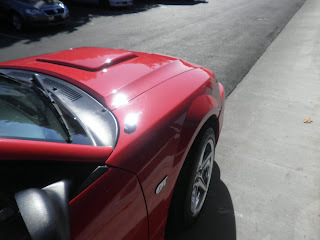 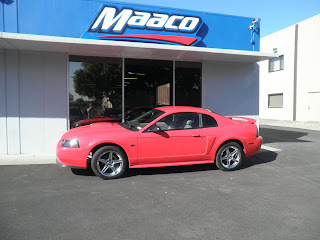 Almost Everything Autobody used waterborne auto paint to match the existing color.